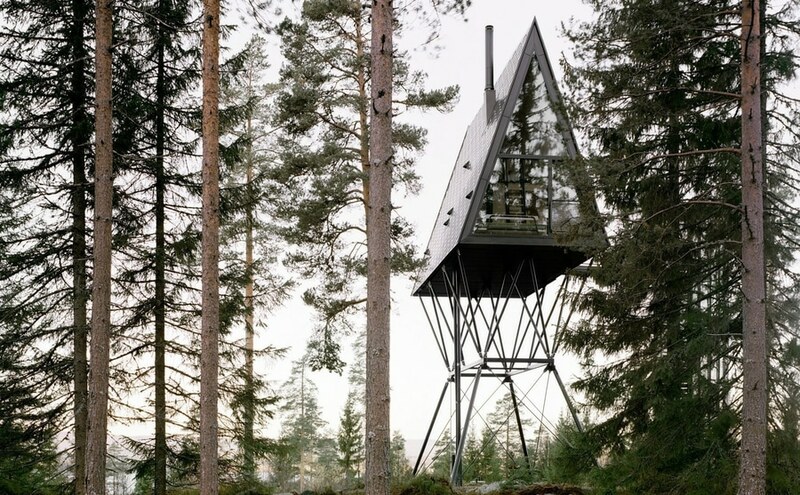 Oslo-based architect Espen Surnevik has nestled the PAN Treetop Cabins on slender stilts among the treetops of Finnskogen, a woodland in east Norway. 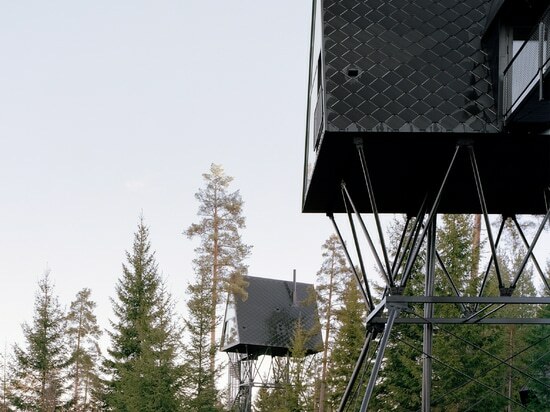 The PAN Treetop Cabins were commissioned by a couple that wanted to create a tourist retreat in "the real Norwegian wilderness". 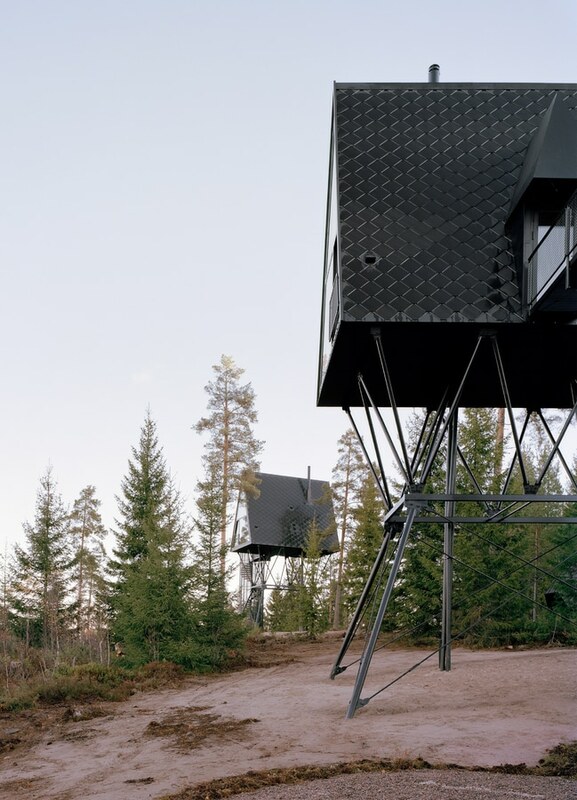 Both matching cabins are elevated on black metal structures, with black cladding designed by Surnevik for a "man-made" aesthetic that stands them apart from the landscape. 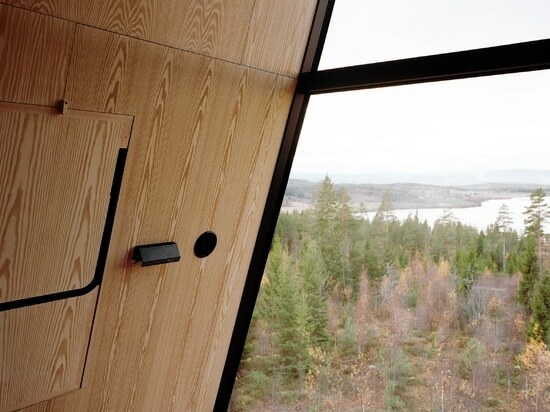 "Rather than building the project in wood, that you find directly in nature, the materials used in the project seeks to be a contrast to the tactility of the forest," said Surnevik. 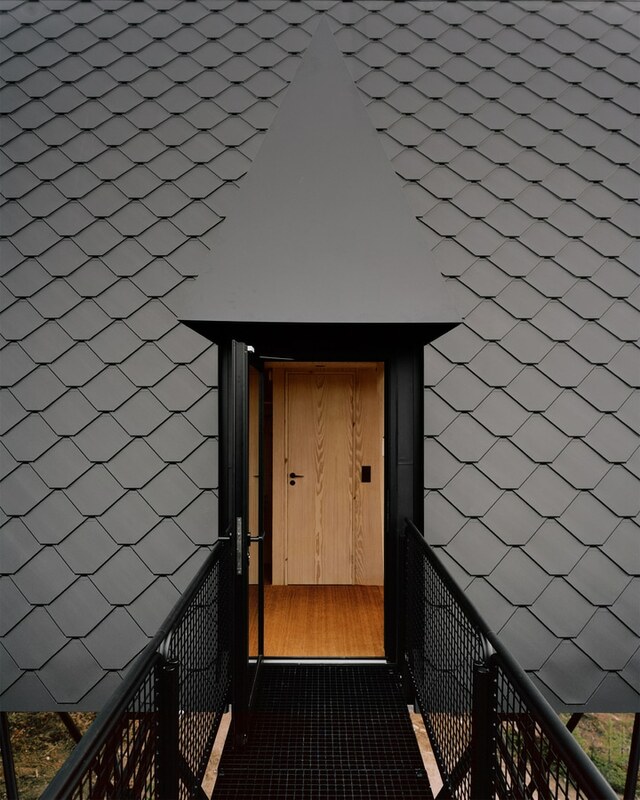 "The use of homogeneous metal surfaces gives the cabins a distinct character, which is important to underline the cabins as an intellectual, man-made, object put into nature." 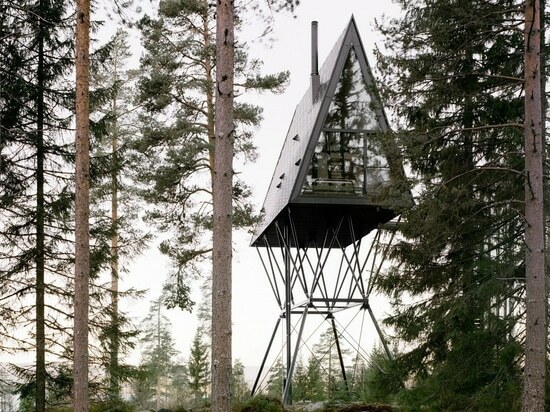 The PAN Treetop Cabins have tent-shaped forms with large glazed gable-ends, which Surnevik modelled on the "primal clarity" of North American A-frame lodges and the "surrealistic" houses of Tove Jansson's Moomin cartoons. 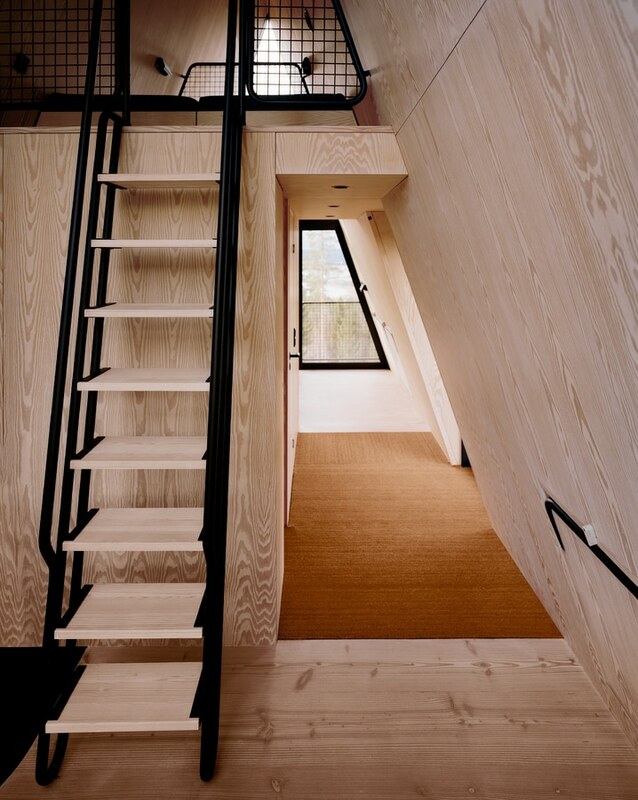 Both of the cabins are based on the same drawings, but have been customised to fit their specific sites. They each measure 40 square metres and can accommodate up to six people. 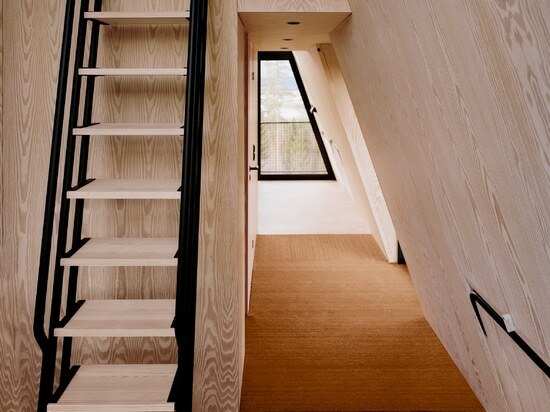 Access to the cabins is provided by large spiral staircases that rise up beside the slender stilts, and connect to an elevated walkway leading into sheltered entrances. 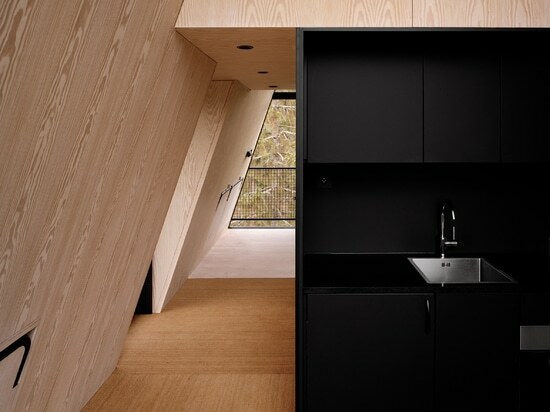 The PAN Treetop Cabins each have a small black kitchen, bathroom and a mezzanine floor with a double bed. Extra beds are hidden within the walls, which can be folded down when they are required. 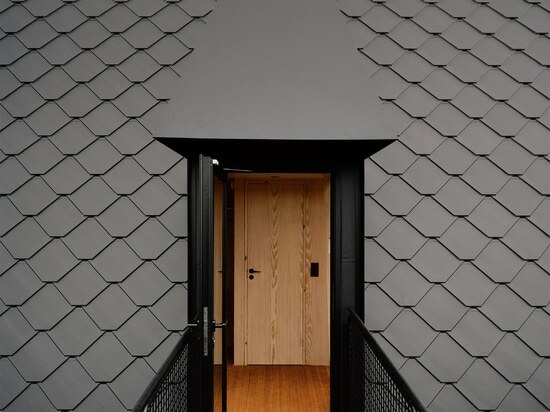 They are fitted with pine-wood floors and walls, while all the textiles are made from local wool dyed the colours of the forest to create a "warm, intimate atmosphere". 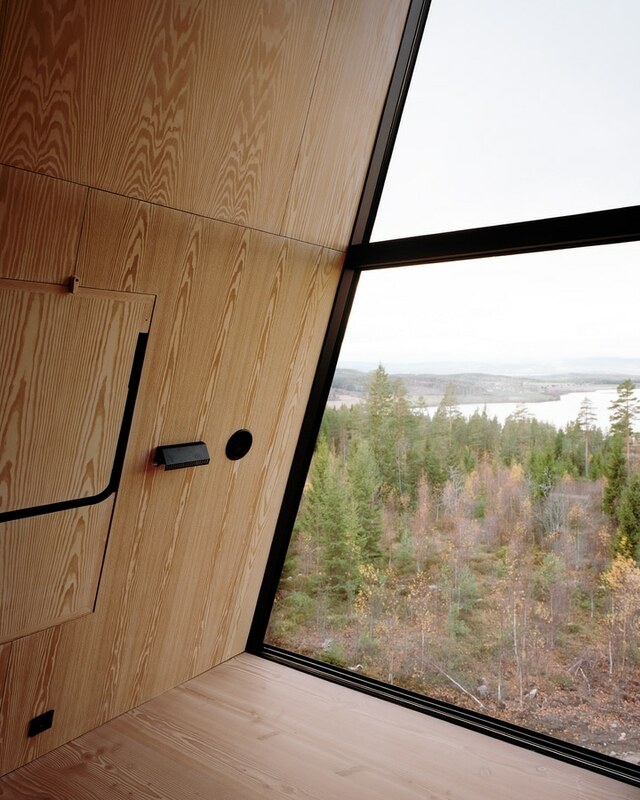 Surnevik angled the cabins in relation to the sun path to maximise natural light, which pours in through their large glass windows, and simultaneously helps to heat the living areas. 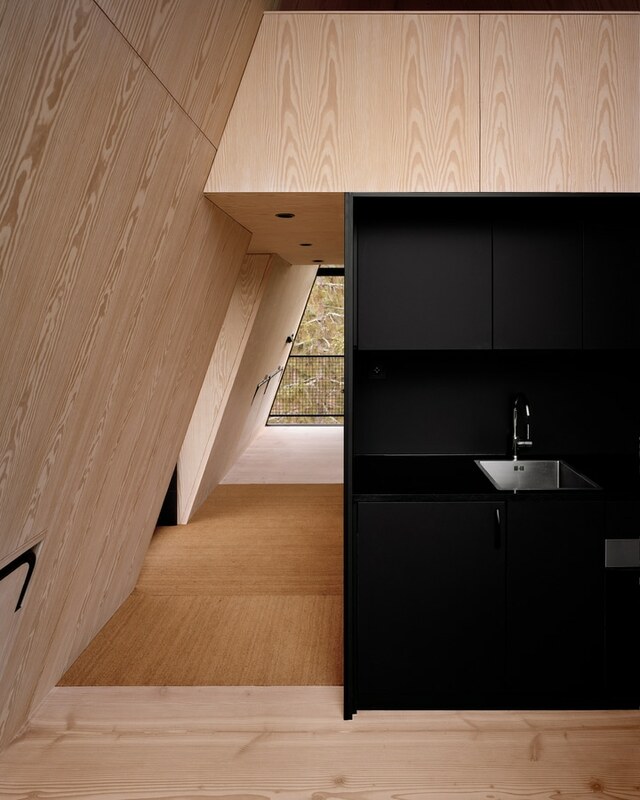 In 2016, Swedish studio Arrhov Frick Arkitektkontor also used slender stilts to elevate a timber-framed cabin into the treetops of an island in the Stockholm archipelago.